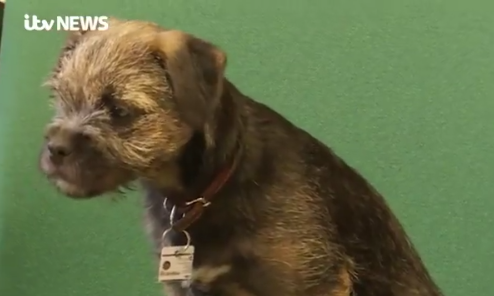 On Tuesday 26th, ITV Westcountry met our new Federation of Tiverton Schools ‘school dog’, Bramble. 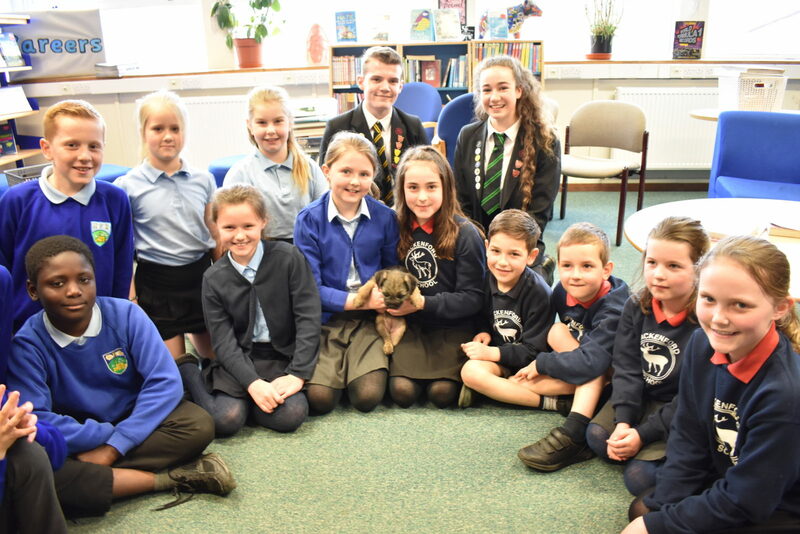 They were able to hear about the benefits of having Bramble in lessons, and spoke to Mrs Crook about how she will be used to help students across the Federation schools with anxiety or mental health issues. Students facing challenges around learning and emotional development will soon be given support through a working ‘school dog’. 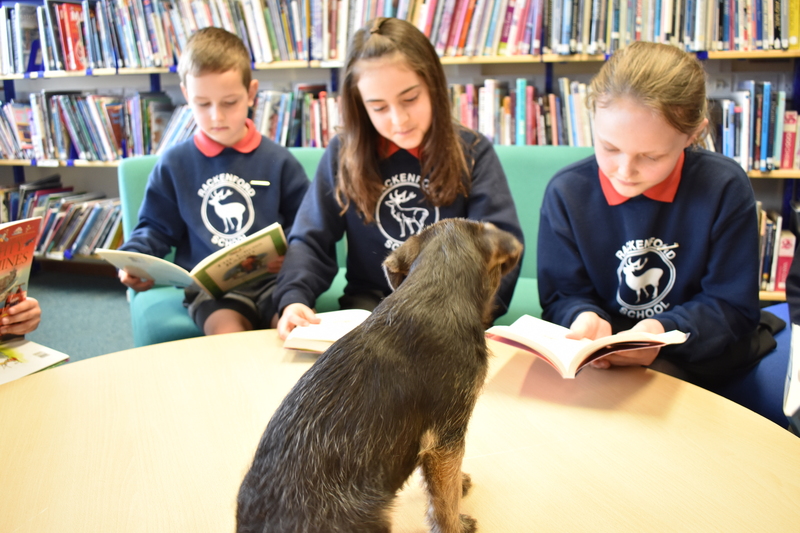 The Federation of Tiverton Schools is set to train and work Bramble, a Blue Border Terrier, across all key stages of learning, and she will become an integral part of the Federation providing evidence-based support to students. Working across Tiverton High School, Heathcoat Primary and Rackenford Primary, Bramble will be trained through a registered charity to become a fully qualified ‘school dog’, employed to improve wellbeing and reduce anxiety or stress, as well as listening to children read. Bramble will have her own crate in the school offices where she will have downtime in between lessons, and her overall care and welfare will be the responsibility of Mrs Crook. Before Bramble’s appointment, a thorough risk assessment was undertaken, and all staff and students will be made aware of how to behave around the new school dog. Bramble has already started her training, and will slowly be introduced into each of the schools before taking on her full-time role as the Federation’s School Dog. If you would like to see the School Dog Policy, it can be found on the Policies page here. 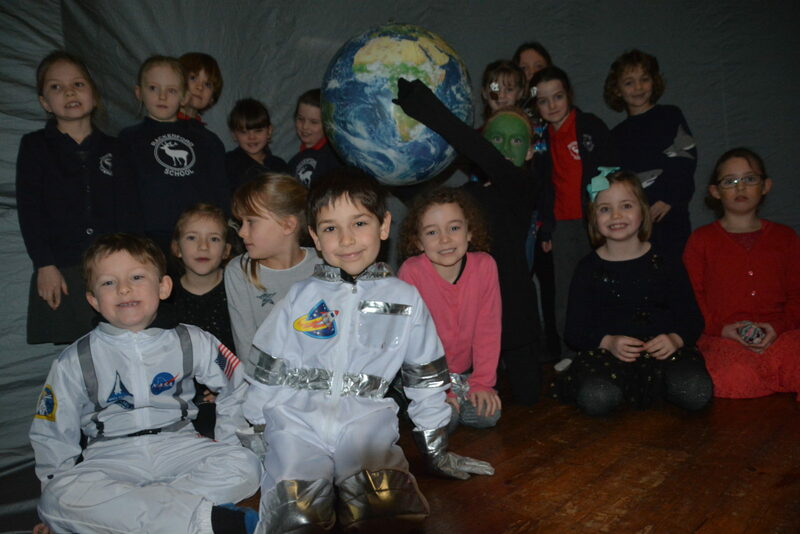 Students at Rackenford Primary School experienced a science lesson like no other this morning (Tues 22 Jan), as they immersed themselves in all things science – from the comfort of an inflatable planetarium in the school hall. Run by Space Lab, the dome transformed into a 360° classroom, transporting the children into an immersive learning environment. The presentations focused on ‘Earth and Beyond’, which included talks on the earth, moon and sun, gravity, the solar system and stars. The presentations are aligned with the national curriculum, and are delivered by an expert astronomer. To fully plunge themselves into their day of exploration and learning, students also dressed up as something related to Earth and the solar system. Costumes included astronauts and aliens, as well as planets and stars. Sammy Crook, Head of The Federation of Tiverton Schools, said: “Engaging with students in various environments is crucial for their learning journeys and development, and the planetarium allowed them to experience this on a new level. 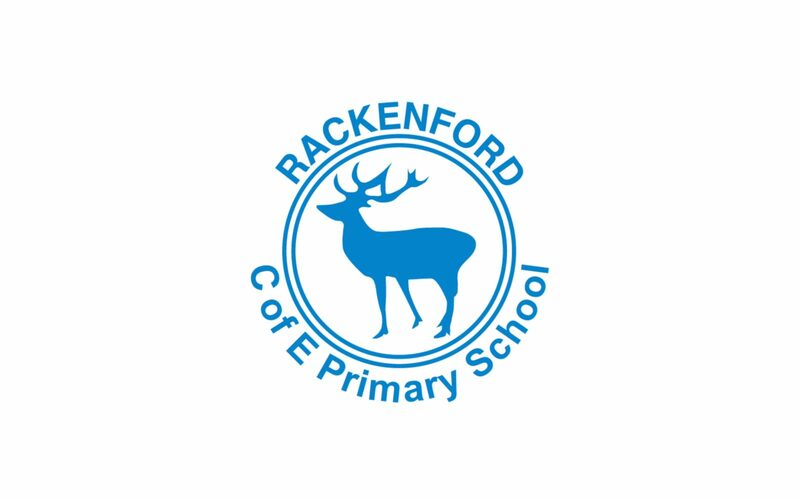 Rackenford C of E Primary School has maintained its ‘good’ status following an Ofsted assessment, that also highlighted the ‘very strong culture of safeguarding’ and ‘extremely supportive’ community. The inspection took place earlier this term, with findings focusing on reading skills, the maths curriculum, safeguarding and support from the wider school community. 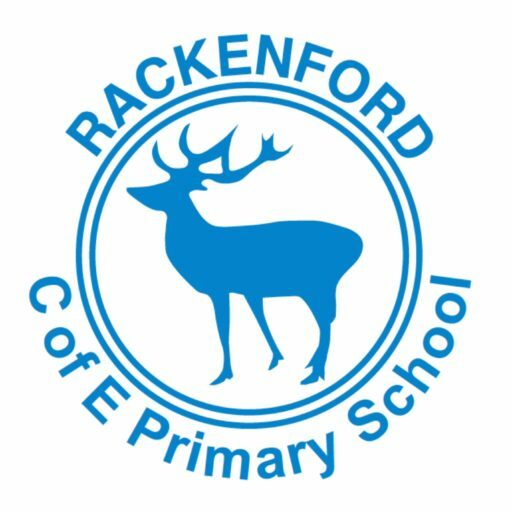 Ofsted highlighted Rackenford’s strong culture for safeguarding, with pupil feedback stating that they ‘feel safe’ at our village primary school, and praised teachers’ knowledge of core curriculum such as mathematics, reading and writing. An emphasis was also put on the supportive nature of the community, with 95% of parents who responded to a school questionnaire saying they would recommend the school to others, and they valued the ‘care, guidance and support that their children receive’. At Rackenford Primary School we strongly believe that every child’s learning journey is different, which is why we offer flexi schooling options for our families. Our Head of School, Sarah Maude, recently spoke to the magazine Devon Life about the initiative, and how parents and children can benefit from this tailored learning experience. You can find the full article on page 195 of the October issue of Devon Life, available to read online here. 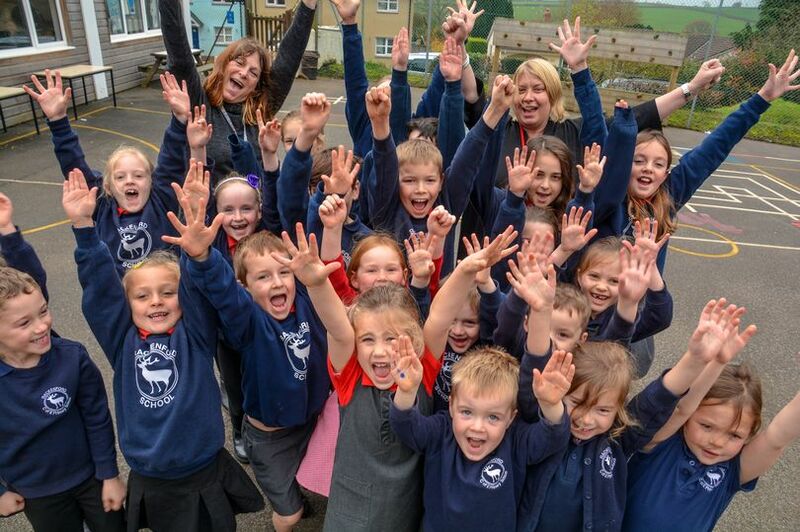 On Thursday (13th) we were joined on our Daily Mile by ITV News West Country, discussing why we chose to take part in the national initiative and the benefits it has. As many of you will know, since January we have been walking (or dancing!) for 15 minutes at the start of the day. Not only does the Daily Mile have excellent health benefits, but we find children to be more engaged in first lesson and it’s a great opportunity for children to socialise with their peers and teachers. All of the children behaved brilliantly and spoke beautifully – we could not be prouder of every single one of them! You can read the original story on our Daily Mile here. In the run-up to the end of term, and with the current hot weather, it is common for children to be very tired and cranky. If we feel they need a short sleep during the day, especially with our younger students, we will organise this for them. If parents have any queries, please get in touch. 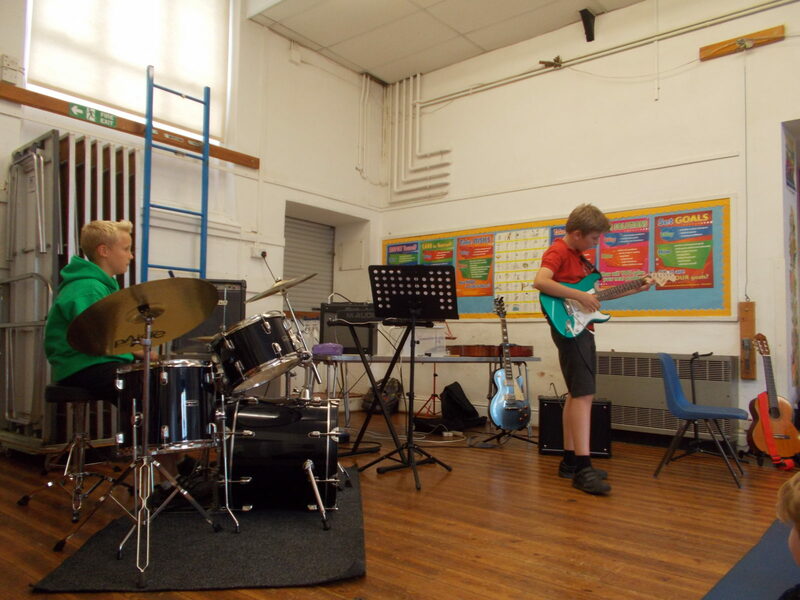 Yesterday afternoon we were treated to an amazing music concert where children who have been learning to play the guitar and the drums this year showed off their skills. The audience were incredibly impressed by not only the children’s musical ability but their enthusiasm and creativity. All children had chosen their own pieces to play, some children had composed their own original songs and we got a sneak peek at the next rock group to come out of Rackenford! A massive congratulations to Lily, Freya, James, Joe, Katie, Winnie, Tabitha, Alex, Lexie, Louis, Corey and Josh. Massive thanks to our music teacher, Ella Partridge, for hosting the performance – she could not have been more proud of her students! If you would like to come to one of our daytime or evening open events, please contact us. Parents and carers are being offered more choice over their child’s education with the introduction of flexi schooling at our school. The new initiative allows parents and children to work flexibly between home schooling and attendance at school. Children are still expected to meet goals and criteria, but flexi schooling will enable them to develop and learn at their own pace. Sarah Maude, Head of School at Rackenford Primary, is a strong advocate of flexi schooling. 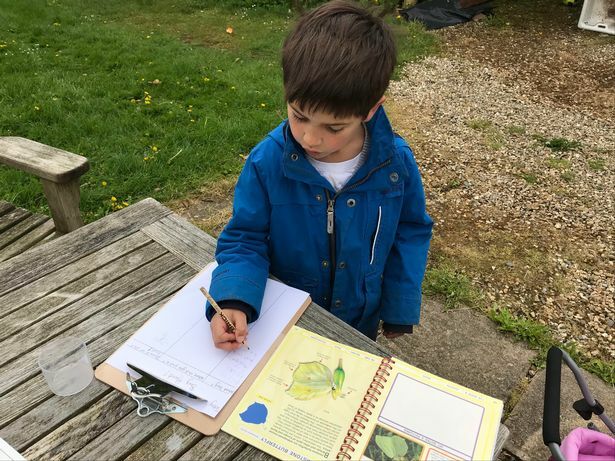 She said: “Each child’s learning journey is different, and we’ve found that full-time attendance sometimes doesn’t fit with the child’s needs or a family’s philosophy of education. Rackenford Primary is part of the Federation of Tiverton Schools. 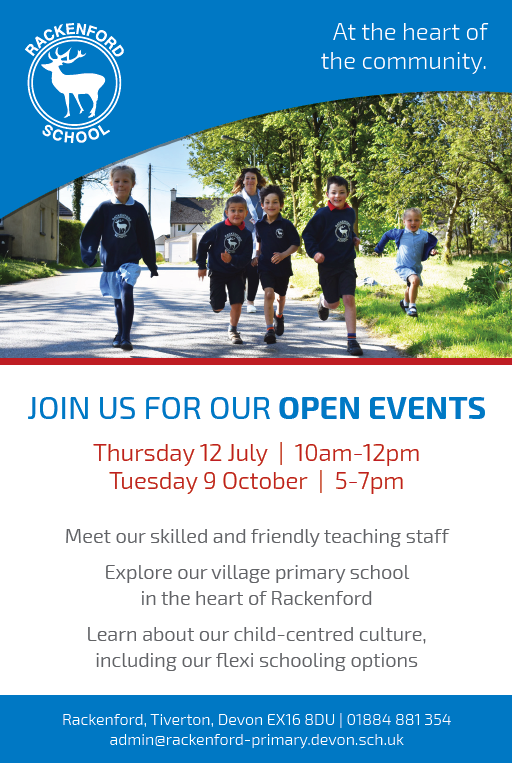 Head of the Federation, Sammy Crook, explains why they have decided to adopt flexi schooling at Rackenford: “We felt strongly that, as a Federation, we should try to offer all kinds of educational provision that parents seek, and Rackenford is the perfect school to introduce this. Interested parents are invited to visit the school and meet Head of School Sarah Maude through appointment or at one of the Open Mornings, taking place on Thursday 7 June and Monday 18 June. To book please contact the school on 01884 881 354. Our mission is to encourage each individual child to develop their potential; intellectually, physically, socially and emotionally. In order to achieve this we believe that learning together is essential and should take place in an atmosphere of a happy, stimulating educational environment that values the school’s Christian tradition.